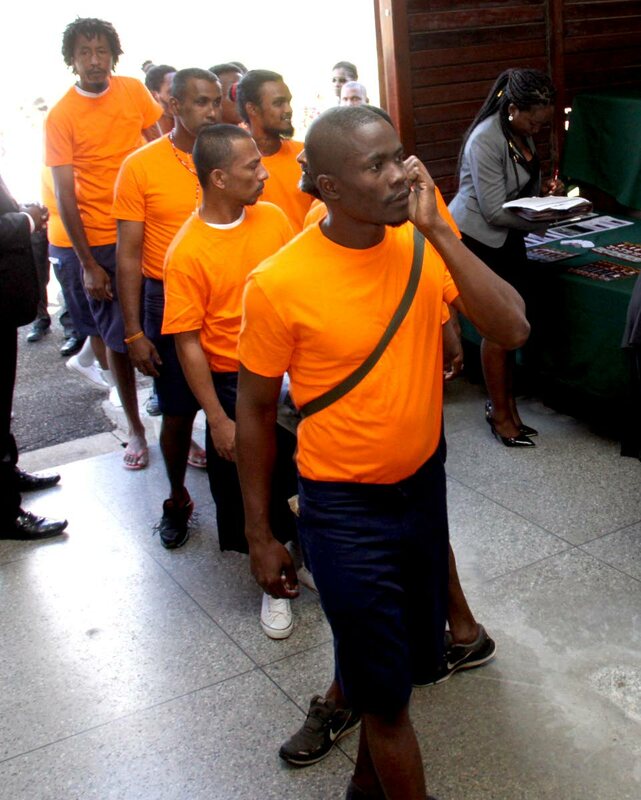 SOME of the inmates at Maximum Security Prison were unimpressed with yesterday’s Prison Preparation For Release Programme hosted by Vision On Mission and the Prisons Service, at the Golden Grove Prisons in Arouca. A 17-year-old boy, in jail for the past three years for armed robbery, dismissed the lauding of the Community-based Environmental Protection and Enhancement Programme (Cepep) by its public relations, communications and community relations manager Margaret Sampson-Browne. Sampson-Browne, a former head of the Police Service’s Victim and Witness Support Unit was speaking at the launch of the programme where she espoused the benefits of Cepep to those who were being released from prison and getting ready to re-enter society. Sampson-Browne said Cepep was an opportunity for men and women to be employed, adding that it was about strengthening the community. However Rick* (not his real name) said this was not what he foresaw for his future. He was imprisoned when just 14 years old after he robbed a nurse. Asked why he did it Rick said he just wanted money. He said he is going to be released next month. “I don’t think this programme will help me. I think this is only to make them (authorities) look good. I did my CXC (Caribbean Examination Council) exams in here and I have two passes in English and social studies and I represented at the youth Parliament. They want me to work Cepep? They have to be mad,” he said. Rick said he wanted to do social work with the Children’s Authority, but did not hold out much hope for that. He said with his incarceration he knew it would cast a stigma on his future. “When you go to get a certificate of good character you will always have that stigma of being in jail so you will can’t get it, so it will hard to get employment,” he said. Reply to "Inmates lukewarm on prison release programme"